Crystal Miller, Principal, Summit Cove Elementary, Dillon CO: ​"#As leaders we are faced each day with the task of helping teachers be better, better for our kids and better for each other. There is no better gift that we can give our students than a skilled, innovative, loving and connected teacher in front of them everyday. How can we, as model leaders, gently lead teachers to a wealth of resources that will make them better, faster? The answer to this, we believe, is helping teachers build a Professional Learning Network in Twitter. 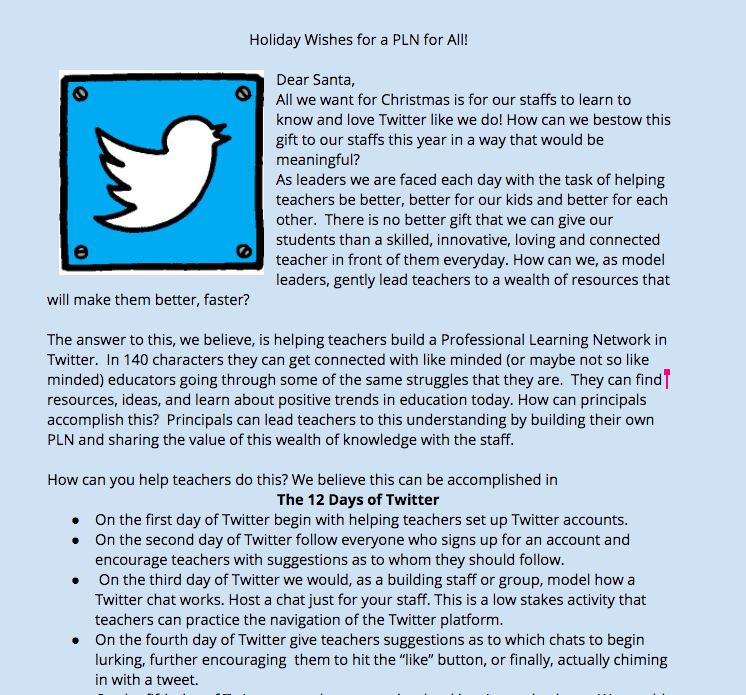 In 140 characters they can get connected with like minded (or maybe not so like minded) educators going through some of the same struggles that they are. . . ."